Looking for some RSVPs to your IPA tasting? Send out the Burgers and Beer Invitation in advance! 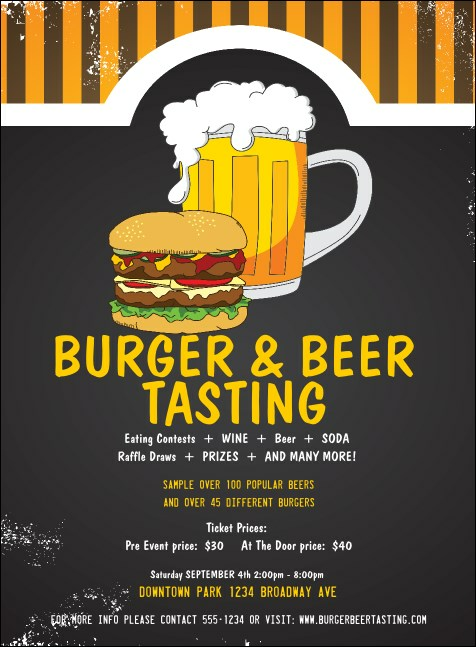 Printed on high quality card stock, these invitations will have guests' mouths watering, with a juicy burger and frosty pint of brew waiting. These retro-inspired templates work great for festivals, pubs or your own backyard party! Complete the meal with flyers, tickets and posters in a Matching Event Kit from TicketRiver.com.au.